The only gun store in the nation operating out of a secure, custom vault. we carry a large selection of handguns for concealed carry. about our selection of long guns and pre-FFA automatic weapons. Janesville, Wisconsin's source for firearms and firearm accessories. The Best Firearms Shop in Janesville, Wisconsin is here! We have a great selection of products for all your needs. We invite you to come visit us for a pleasant, efficient shopping experience. Our staff members would be more than happy to assist you personally to ensure you find exactly what you have in mind. And if you need assistance, ideas, or special service we’re at your beck and call. Feel free to pick up the phone with any questions you have and we’ll be glad to help. Purchasing a handgun online has never been easier than with CTR firearms in Janesville, Wisconsin. We offer a great selection of handguns, new and used from trustworthy manufacturers including: CZ, Sig Sauer, Glock, Smith & Wesson, Ruger, Taurus, Walther, Rock Island Armory, Bersa, North American Arms, Kel-Tec, Israel Military Industries, and many more. We have a great selection of rifles online and in-store.Whether you are looking for hunting rifles, shotguns, or semi-automatic, we’ve got you covered. 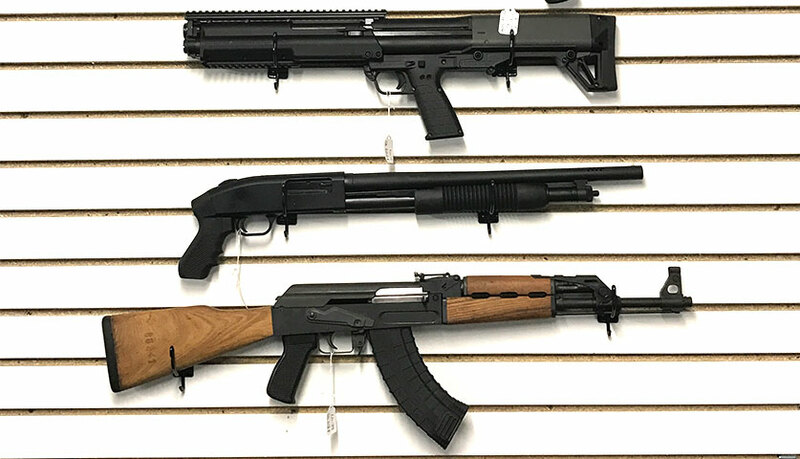 CTR Firearms has a wide variety of AR and AK style long guns. We have something for everyone! We offer a great selection of shooting and gun accessories online, and in-store, including: ammunition, holsters, magazines, scopes, lasers, Laser Trainers, stocks, grips, Knives, and an assortment of other accessories for your new firearm. Stop in and check out our great selection today! See something you're interested in, or have a question? Can you purchase a firearm from CTR Firearms if you live outside of Wisconsin? Sure! All Firearms must be shipped FFL to FFL only! If you are unsure of a local FFL dealer in your area Please contact us before purchase. We will be glad to assist you any way we can!